Treat Your Feet Buckhead offers trigger point massage in our Atlanta spa. Trigger point massage therapy uses techniques that focus on the origin of the body’s pain versus focusing on the area that is afflicted by the pain. A trigger point is a tense point within a muscle that can cause pain in another part of your body. For example, you may experience a visible knot or tight band of tissue in a back muscle that causes neck and shoulder pain or even headache. Trigger points can often cause chronic, and sometimes constant, long-term pain in many areas of the body, with the back being the most common trigger point. Applying certain massaging strokes to relax the muscle tissue of the trigger point will relieve the pain that is being caused in another area of the body by this tense and knotted muscle. Your massage therapist at Treat Your Feet Buckhead in Atlanta will apply a certain amount of isolated pressure to the trigger point during the massage so that tension can be alleviated. Since the application of pressure to a sore or tight muscle can sometimes be a little uncomfortable, Treat Your Feet’s trained trigger point massage therapists welcome your feedback during your massage session so that they can make your experience enjoyable as well as productive. Be sure to let your therapist know in which part of your body you are experiencing pain, and at what pain level, so that they can apply and release pressure to the precise trigger point in order to provide relief. 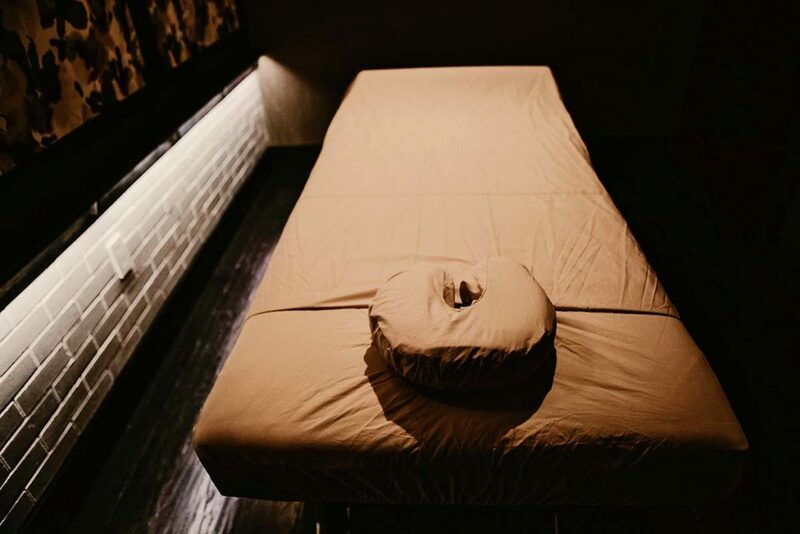 Trigger point massage can certainly be a relaxing and rejuvenating experience, but it’s main goal is to relieve pain and stress within the body. Those who experience constant or chronic pain, or are recovering from an injury, tend to benefit most from this style of massage. Trigger point massage is a therapeutic form of massage that can relieve tension, alleviate pain, and leave you feeling an overall sense of relief and increased energy even after just one session. Repeated sessions have become a preferred method to manage pain that stems from chronic injury. What is the Difference Between Trigger Point Massage and Acupressure Massage? Both of these massage techniques use similar principals for relieving pain, although their origin slightly differs. The key difference between the two is that trigger point massage therapy uses the application of pressure to the trigger points in muscle tissue that are causing undue pain. Acupressure massage therapy uses techniques that focus on applying pressure to certain meridians, techniques more closely associated with Eastern medicinal practices. Both styles of massage address relieving pain that stems from an alternate point of origin – they just go about it with the use of different techniques. If you are not certain which massage therapy is right for you, feel free to speak with our highly trained massage therapists in Atlanta before you start your massage session.